Since the invention of photography, the human footprint has been accompanied by cameras, leading us to a new understanding of the world. 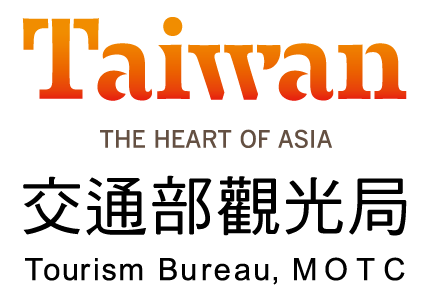 People are enchanted by natural geography and scenery, driving human curiosity and exploring the style of the earth. In the past two centuries, landscape photography is getting to booming. 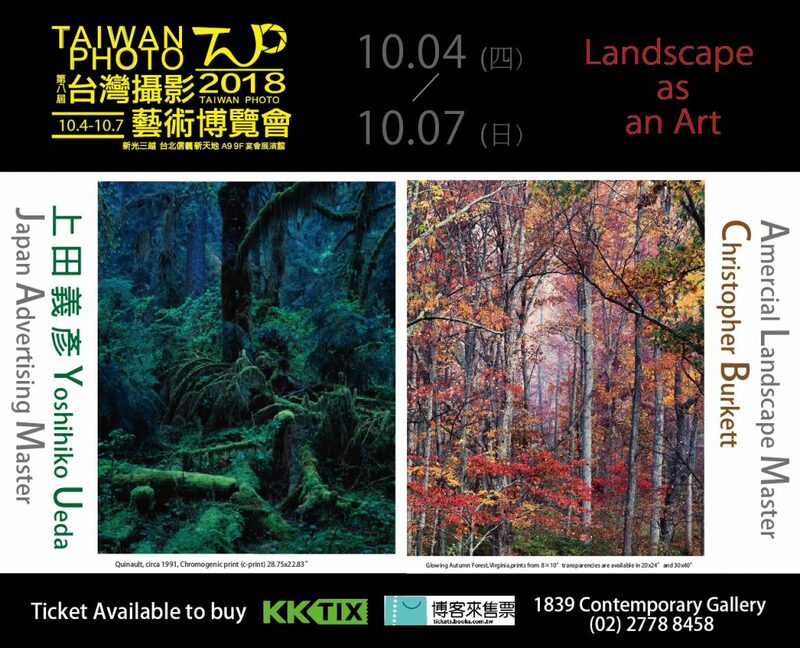 This year’s 8th Taiwan Photo which is based on the landscape photography art that has been formed since the beginning of photography. 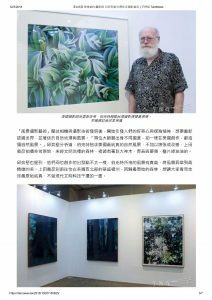 In particular, we invited the famous American landscape photographer Christopher Burkett and the famous Japanese advertising photographer Yoshihiko Ueda to show their whole picture of landscape photography works in the creative life. Well-know America large-format film photographer Christopher Burkett was born in 1951 and has been photographing since 1975. With his wife Ruth by his side, Christopher roamed the United States in order to look for amazing views. His photographic process is precise, practiced and integral to the final prints he makes. 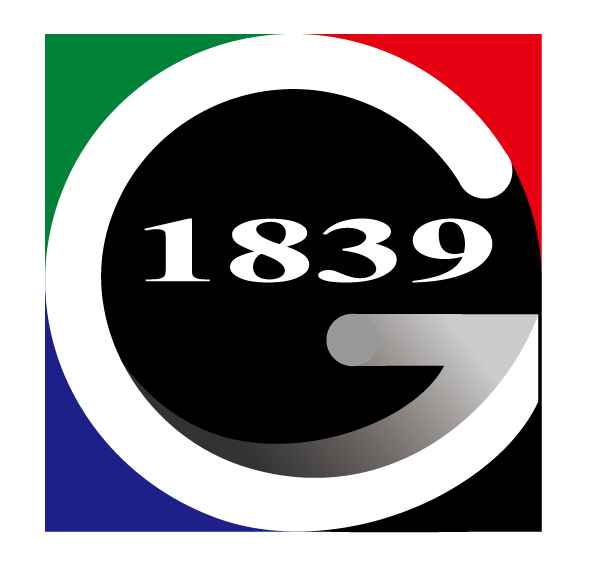 He has reports on PBS NEWS, KCT9 and other media platforms. Japanese photographer Yoshihiko Ueda was born in Hyogo Prefecture, Japan in 1957. 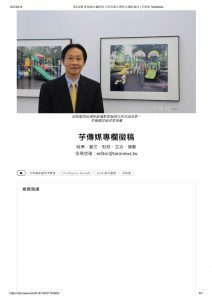 In 1982, he became a freelance photographer and today he is one of the most successful photographers in the Japanese advertising industry. 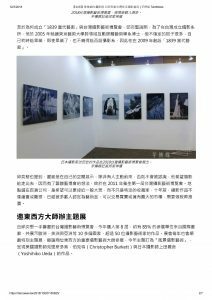 In his works, he follows a very personal fresh style, cross within fine art and commercial photography, and is highly praised by the international community. 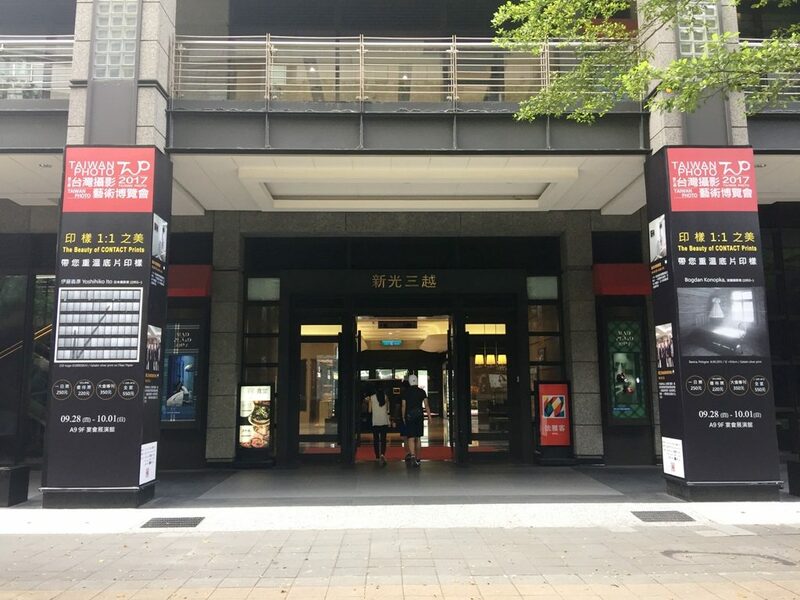 The 8th term of Taiwan Photo 2018 is going to be held from Thursday 4th of October lasting 4 days at 9F, Taipei ShinKong Mitsukosh A9 Building. 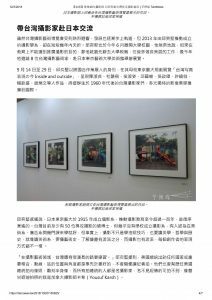 This year, 8th of TAIWAN PHOTO is based on the Landscape Photography Art that has been formed since the beginning of photography. 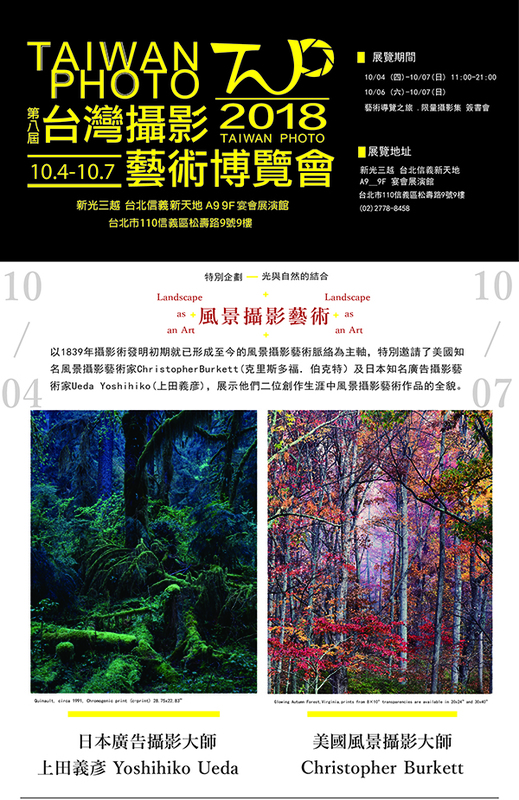 In particular, we invited the famous American landscape photographer Christopher Burkett and the famous Japanese advertising photographer Yoshihiko Ueda to show their whole picture of landscape photography works in the creative life. 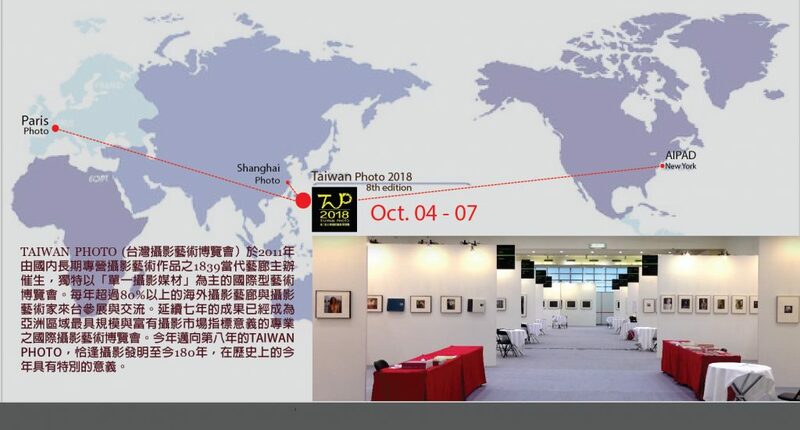 TAIWAN Photo fair which is taking PARIS Photo and AIPAD New York as benchmark, its professional and single focusing on photography artworks different than the other exhibitions conducted in Taiwan. 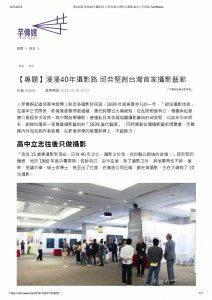 With seven years productive exhibition of Taiwan Photo fair since 2011, this year Taiwan Photo fair its theme of special exhibition is “Landscape as an Art” will launch on October 4, 2018. Stay tuned.